Melvyn Bragg discusses the mind and theories of the psychiatrist Carl Jung who wrote about the concepts of 'introverted' and 'extroverted', and the significance of the collective history of Mankind. 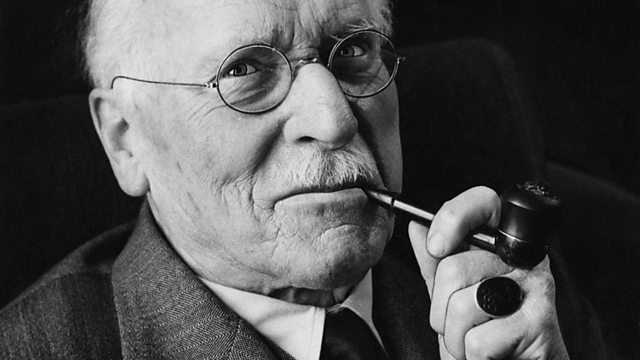 Melvyn Bragg and guests discuss the extraordinary mind of the psychiatrist Carl Gustav Jung. In 1907 Sigmund Freud met a young man and fell into a conversation that is reputed to have lasted for 13 hours. That man was the Swiss psychiatrist Carl Gustav Jung. Freud is celebrated as the great pioneer of the 20th century mind, but the idea that personality types can be 'introverted' or 'extroverted', that certain archetypal images and stories repeat themselves constantly across the collective history of mankind, and that personal individuation is the goal of life, all belong to Jung: "Your vision will become clear only when you look into your heart... Who looks outside, dreams. Who looks inside, awakens", he declared. And he also said "Show me a sane man and I will cure him for you".Who was Jung? What is the essence and influence of his thought? And how did he become such a controversial and, for many, such a beguiling figure?With Brett Kahr, Senior Clinical Research Fellow in Psychotherapy and Mental Health at the Centre for Child Mental Health in London and a practising Freudian; Ronald Hayman, writer and biographer of Jung; Andrew Samuels, Professor of Analytical Psychology at the University of Essex and a Jungian analyst in clinical practice. A selection of programmes relating to dreams and dreaming.